this inner sence of continuity and love. The "Dança da nenina-moça" or "Teenage-girl's dance"
is to celebrate this possibilitys. A pride to look to our past and walk to the future. Hope we won't forget it. 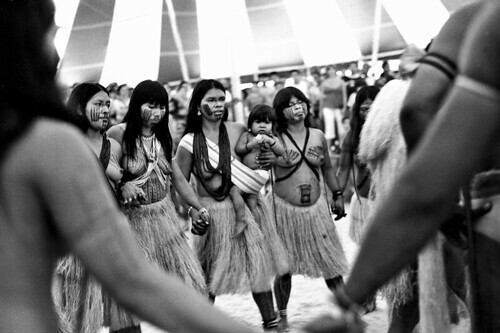 The Nambikwara woman dancing their "teenage-girl's ritual"
They live on the Mato Grosso State's west and Rondônia State from Brazil. Population about 998, in 1999.